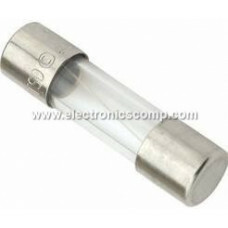 15 Amp 250V Fast Acting Glass Fuse - 6x30mm use in electronic circuits to provide safety from short circuit and other power surges. These are also called as circuit protectors. Made of a glass tube with nickel-plated-brass end caps.